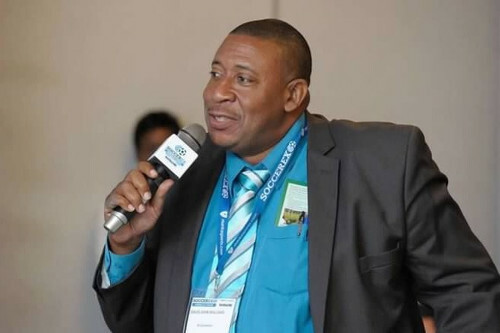 Sacked Trinidad and Tobago Football Association (TTFA) technical director Kendall Walkes has blasted football president David John-Williams for his supposed autocratic, vindictive and narcissistic style, as he opened up about the last four months at his post. 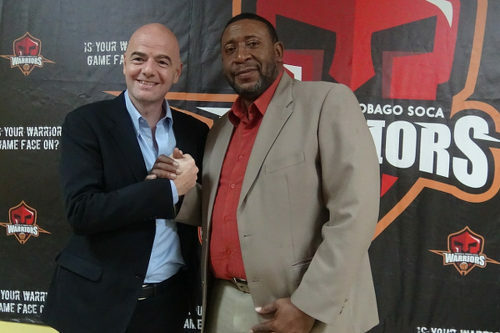 Walkes, a former Trinidad and Tobago national midfielder and US Virgin Islands technical director, accepted a three year contract from the TTFA in March 2015 and returned home a month later. 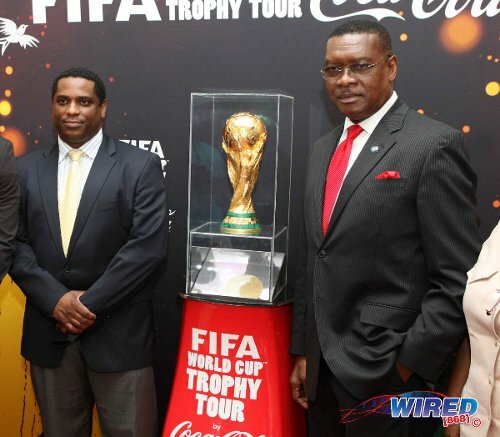 Raymond Tim Kee was TTFA president then while Sheldon Phillips was general secretary. 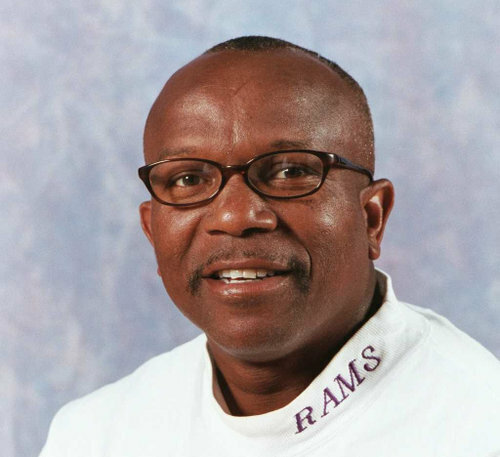 Walkes, who spent 23 seasons as head coach of the West Chester University men’s football team in the United States, went unpaid for two of his nine months under Tim Kee. But, he claimed, that was nothing compared to the treatment he received under John-Williams. 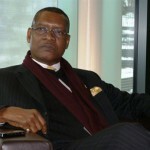 “Without any provocation, he just decided to take this stance against me, almost from day one,” Walkes told Wired868. “I would talk to my wife after (our) meetings and she is aware of the ridicule and cynicism I have had to deal with, as he tries to feed his narcissistic needs and ego. “He even ridiculed my decision to come here. He has brought the entire situation into something personal. Walkes, who has a USSF A licence, NSCAA advanced national diploma, England FA preliminary and FIFA youth academy certification, said he has not been paid once by John-Williams who has refused to acknowledge his contract. 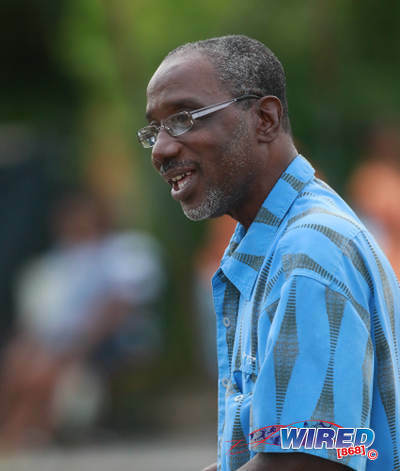 Photo: Sacked TTFA technical director and former National Senior Team player Kendall Walkes. The TTFA president declined comment on the issue. 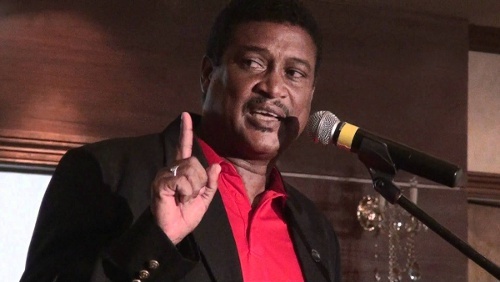 However, Walkes alleged that the TTFA president offered him a cheque with less than his monthly salary as an “unprejudiced pay off.” He has refused to touch it on legal advice. “He put a clause with the voucher attached to the cheque saying it was an unprejudiced pay off,” said Walkes. “But I was advised that it could mean he didn’t have to pay me any more money. Ironically, Walkes accepted the TTFA job after former technical director, Anton Corneal, quit in acrimonious circumstances. After two years, Corneal claimed he did not receive a dollar from the duo of Tim Kee and Phillips. 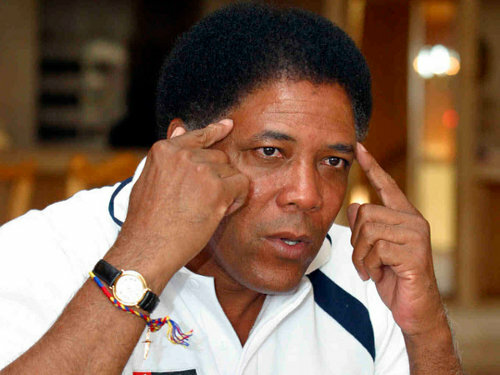 “I have gotten eight half salaries from the government in two and a half years,” Corneal told Wired868, on 2 April 2014. “But at least I am getting something. 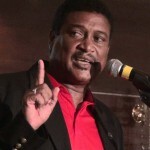 I have not been paid by one dollar by the TTFA and I think that is not just disrespectful; it is gravely disrespectful. A year later, Walkes succeeded him. He admitted to being nervous about being paid but said he received assurances. “(The certainty about being paid at the end of the month) was always my first concern,” said Walkes. “I have been asked to come back to Trinidad and give back since the Jack Warner era in the 1990s and I have always declined respectfully. “I have always watched coaches come from foreign countries for big contracts and, within a few months, you are fighting to be paid or have to take them to court. So you get a big contract and two months later you are fighting to get a dime. Photo: Former and Trinidad and Tobago football coach Francisco Maturana. Despite Corneal’s obvious issues, Walkes—who has a Bachelor’s degree in Physical Education and Public Health from Davis & Elkins College and a Master’s in Exercise Physiology from West Chester—thought it would be different under Tim Kee and Phillips, who he met at a convention in the United States before either had ascended to the top TTFA posts. “Two things convinced me to come,” said Walkes. “One, I was working under a different administration… And then it was the Sports Company. I emailed a SPORTT official and said a little birdie told me the Sports Company will pick up part of my salary and he confirmed it. “And when I calculated I said even if the TTFA didn’t pay me, I would be okay. But then when I came (to Trinidad) he said they give money to the TTFA and they did with it as they chose. By May, Walkes was already in trouble, as he worked for roughly two months without a pay cheque. 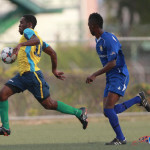 But things quickly improved—probably helped by a CONCACAF 2015 Gold Cup quarterfinal final finish by the “Soca Warriors” in July—although the TTFA only honoured its agreement to pay for his housing and vehicle for two months. 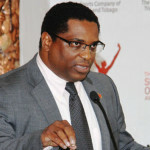 John-Williams’ manifesto promised that his board of directors—rather than he and his vice-presidents—would be the policy makers, there would be an immediate appointment of the necessary sub-committees, the general secretary would run the administration and operation of the football body and there would be greater transparency all round. However, Walkes described the new football president as autocratic and claimed that interim general secretary Azaad Khan was rarely present at their meetings, although Khan, in theory, is in charge of the football body’s operations. John-Williams suggested that he met certain contracts in place that, arguably, seemed to reflect an autocratic style. “If Kendall Walkes has made that statement, it is up to you to believe him,” said John-Williams. “I would not even make a comment on that. The only comment I will make on that is if the head coach’s contract calls for him to report directly with the president and I meet that (stipulation). 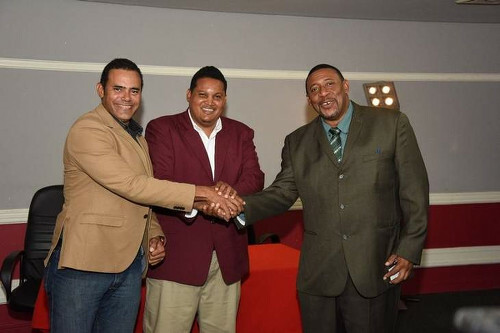 Photo: TTFA president David John-Williams (right) shakes hands with SPORTT chairman Michael Phillips (left) while Sport Minister Darryl Smith looks on. The TTFA president also responded in an obscure manner to Walkes’ claim that the general secretary was rarely included in important meetings. But Walkes was adamant that John-Williams regularly conducts meetings on the running of the local body without even the token presence of his general secretary. “At the first meeting, the president was there with (vice-presidents) Joanne Salazar and Ewing Davis,” said Walkes. “The next three meetings were with DJW alone. Then maybe a couple more with Joanne present. John-Williams and Walkes did not meet in 2015, as the latter was whisked off to Brazil with the Trinidad and Tobago Women’s National Senior Team for an international tournament in Natal, which ran from December 9 to 20, 2015. 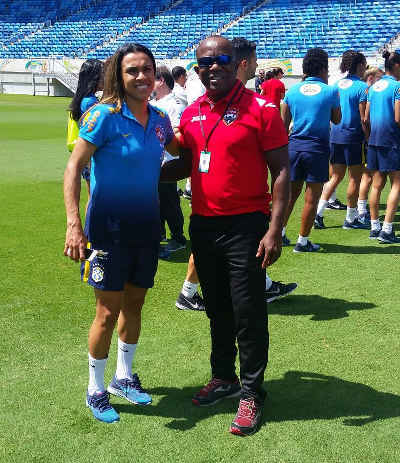 Photo: Former Trinidad and Tobago technical director Kendall Walkes (right) poses with Brazil international star Marta in Natal in December 2015. Walkes then spent Christmas with his family in Philadelphia before returning to Trinidad on December 31, before the TTFA office re-opened on January 4. 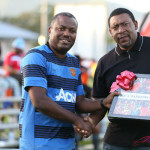 The technical director was surprised and a bit put off when he was told that John-Williams refused to sign his cheque for the month of December. “When DJW came into office, the staff drew up my salary cheque for December,” said Walkes, “and I was told that his reaction was: ‘Oh guud! Is all that money that man come down here and making?! I not honouring that you know’. Walkes’ jaw really hit the floor in his first meeting with the TTFA president, as the technical director was abused of abandoning his job. “Sharon O’Brien who was the manager on the (national women’s team) tour,” said Walkes. “I said I was never here for the end of the year before and I asked her when did the office close. She said the office closes on the 21st or the 22nd. Because she said two dates, I called the office to be sure and they told me it closed on the 22nd and reopened on the 4th. 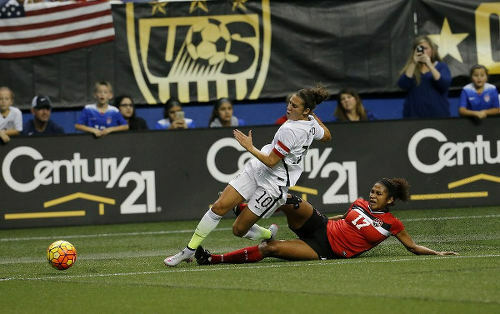 Photo: Trinidad and Tobago midfield anchor Victoria Swift (right) chops down United States captain Carli Lloyd during international friendly action in December 2015. “From that first meeting, he came in with this mindset,” said Walkes. “He went on about how many days in industrial law that I can be ruled to have abandoned the job if I don’t show up. I had followed proper procedure and he was telling me I abandoned my job. “And saying: ‘Imagine we had a national team in training and my technical director is not here.’ But the National Senior Team is the one team that I was not responsible for as technical director. “Then he started making really sarcastic comments about my contract and saying things like: ‘You come on a contract like this? You bring your family on a contact like this? You see all the mistakes in this? For the next two months, Walkes said the TTFA president made a point of ignoring him. 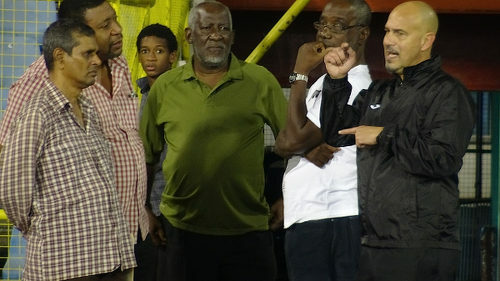 “There was one situation where he spoke to the National Under-17 team for the first time and I stood there,” said Walkes. “And he introduced Muhammad Isa and Stuart Charles as technical committee members who will be there from time to time. Walkes, who lives in Trinidad with his wife Sylvia and son Kendall Junior, said he tried to keep his work problems hidden from his family for as long as he could. But a confrontation was inevitable. “He never said anything to me,” said the technical director. “He didn’t even say when they got money they would pay me. “So I asked him: ‘Do I have a job here?’ He said: ‘I don’t know, it depends on (your contract). I asked him: ‘Are you going to pay me?’ He said: ‘I don’t know, it depends on this. 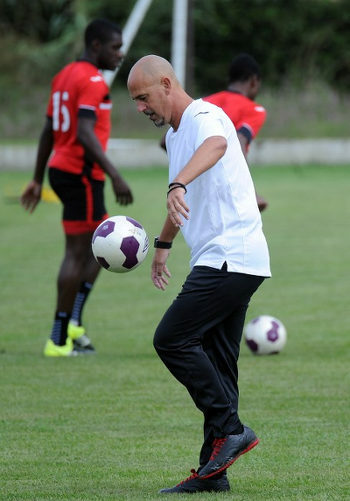 Photo: Trinidad and Tobago head coach Stephen Hart juggles a football during practice before his team’s 2016 Copa America play off contest against Haiti. In the end, it was John-Williams who announced their parting of ways. The TTFA president claimed that Walkes’ contract was invalid and bizarrely said the former president, Tim Kee, “does not recall the document ever being formally executed”—although he received a technical director’s salary for seven months plus had a car and apartment paid by the former administration. John-Williams claimed his stance was supported and actively encouraged by FIFA. “We have now also been notified by the acting Secretary General of FIFA that this alleged arrangement under which you were employed by the previous administration of the TTFA does not meet with the standards and requirements of FIFA for the appointment of a Director of Football of its member associations,” stated John-Williams. “Please note that the copy of the purported contract of employment you provided to us was also reviewed by FIFA and they have rejected it as containing errors, misleading information, and also missing information. “In light of the findings of FIFA and in the absence of a properly executed and valid contract of employment, we are forced to consider your engagement with the TTFA as a month to month rolling contract. Walkes accused John-Williams of misrepresenting FIFA and the former local football administration and said he took his contract to several lawyers who confirmed that it was valid. “John-Williams said I didn’t have a contract,” he said. “FIFA didn’t say that. FIFA says it doesn’t meddle with the internal business of member associations. That says they could not have annulled it. The FIFA press office, under new management since the election of president Gianni Infantino, was unusually curt. Phillips, who is also pursuing legal action against Tim Kee, declined comment while Tim Kee could not be reached. Their unwillingness to get involved has left Walkes isolated, without a source of income and facing a lengthy legal battle. “I don’t know what I ever did the man,” said Walkes. “He came in with an agenda. I can respect that, I understand that. But you don’t discredit me and, worse, not want to pay me. Walkes thought he was joining a football association that was moving in the right direction after Warner’s disgraceful exit. 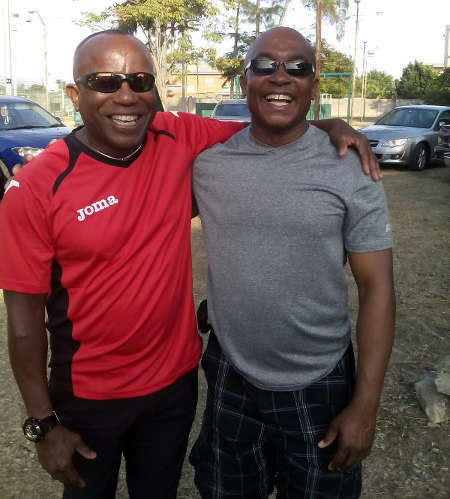 Photo: Former Trinidad and Tobago technical director Kendall Walkes (left) and his friend Ted Willis. “I wanted to help lay a foundation in Trinidad and see the fruits of my contribution. Potentially it should have been great. And, despite a shaky start, he felt he was off to a good start. From Monday to Friday, Walkes, with Isa in tow, would hold grassroots clinics in each of Trinidad’s five zones—he claimed issues over training locations and training times scuppered their attempts to start in Tobago—while, on the weekends, they did zonal and national coaching certifications. “Before, there were grassroots festivals and you might have two in an entire year,” he said. “But we had a continuous programme with courses for every week and every day… We certified about 130 coaches at both levels combined. His work ground to an almost immediate stop upon John-Williams’ appointment. Walkes deduced that his former assistant, Isa, had the ear of the new president and he was annoyed that the veteran coach and Club Sando technical director did not stand up for him. His annoyance grew considerably when he realised that Isa was earmarked to replace him. He insisted that his potential successor was unqualified and had built up a portfolio for himself by taking jobs for free or ones that nobody wanted. “(On April 27) in a board meeting, they gave Isa a one year contract and he accepted,” said Walkes. “And that it itself is an indictment of his understanding of the job of technical director. If you want to transition a country’s football, you are not going to accept a one year deal when you have to implement the five pillars like grassroots, coach certification, coach education and so on. “When he takes a one-year contract, it shows he doesn’t understand the perimeters and depth of the job and what he is getting into. He is happy to get a title I guess. Again, the TTFA president declined comment on whether Isa was his new technical director and if he was suitably qualified for the post. 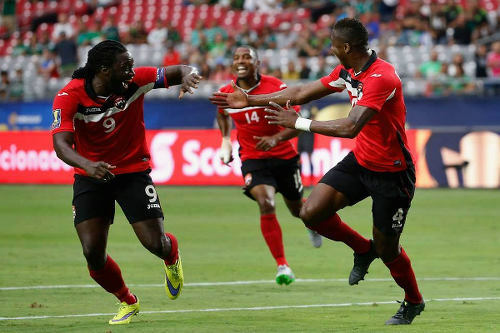 Walkes has accepted that his time with Trinidad and Tobago football has come to an end. But he said he refuses to be bullied by John-Williams. 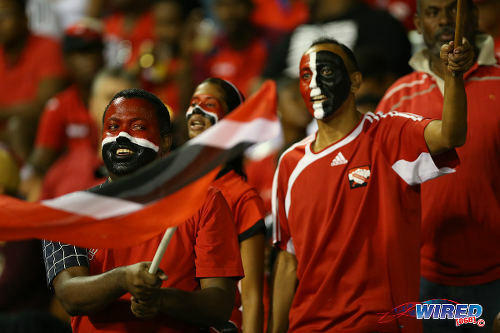 Photo: Trinidad and Tobago football fans get behind their team at the Hasely Crawford Stadium, during their World Cup qualifying clash with the United States on 17 November 2015. Walkes is the first high profile sacking under the current administration—former “Women Soca Warriors” coach Randy Waldrum did not have a contract and was merely released. The TTFA, which is still in debt to Corneal, can feasibly end up paying the salaries of three technical directors at the same time, if Walkes is proven right. I refer to the matter at caption and to the ongoing discussions between yourself and the TTFA. After considerable deliberation we have come to the conclusion that the TTFA has no alternative but to terminate your employment with them. Dass is a Connection youth team player. I ask that you note that we did make every effort to locate an original contract of employment between yourself and the TTFA, but notwithstanding extensive searches we were unable to locate this document – you also confirmed at our meeting on the 1st March 2016 that you did not have an original duplicate of your contract and would be relying on the photocopied document hereto attached. It is our considered view that this document is not only incomplete, but has also not been properly executed. We have been guided by the former President of the TTFA that he does not recall the document ever being formally executed. In our attempt to clarify this matter, and move forward we sought advice from FIFA. We have now also been notified by the Acting Secretary General of FIFA that this alleged arrangement under which you were employed by the previous administration of the TTFA does not meet with the standards and requirements of FIFA for the appointment of a Director of Football of its member associations. Please note that the copy of the purported contract of employment you provided to us was also reviewed by FIFA and they have rejected it as containing errors, misleading information, and also missing information. As a consequence of their findings the TTFA have now been mandated by FIFA to ‘redo and review the aforementioned contract’. You will no doubt be aware that the secure tenure of this position is critical to the continued relationship between the TTFA and FIFA. In light of the findings of FIFA and in the absence of a properly executed and valid contract of employment, we are forced to consider your engagement with the TTFA as a month to month rolling contract. In those circumstances we hereby formally give you one month’s notice of termination of your employment with the TTFA. Without prejudice to our position re the invalidity of this alleged contract we are however prepared to honour any arrears accrued under that arrangement and are prepared to meet with you to settle any outstanding salary due to you. Please note that we will re advertise the position and you are invited to resubmit your application for our consideration. ..Sorry. I took academic training to be a given. Yes. Having a university degree could only help the effective technical director. The position is, after all, highly academic . But I wouldn’t say it is an absolute requirement. It would depend on the specific individual..
Keith, have you ever considered running for the presidency of the TTFA? Serious question. ..Nope. Not interested and I wouldn’t get ten percent of the vote. Serious answer LOL..
Next thing earl mango campaign and become president…..pressure ?? Why the lack of interest if I may ask? I read your posts often and whilst I may disagree with your opinion on occasion, I have still always found your contributions to be well researched & thought out. Also, you are one of the few who seems to have a comprehensive understanding of the legislative/administrative requirements for the role. So it piques my curiosity as to why a person such as yourself who seems to have so much to offer, would have no interest in the role. ..Because I tried to work from the inside for years bro. With some success, yes. But ultimately I believed I needed to leave when I realized (then) TTFF and football people were not interested in real change after the FIFA/Jack Warner troubles began. There was a window of opportunity to revolutionize things and what did we do? Put Watson. And I did leave. “Walk and don’t look back” is my motto and I ain’t going back there. Football (Trini) people not serious bro. What do we have now? Eighty percent old guard still in office alongside the new buccaneers. Not me!.. Keith I still believe you have something to contribute …there are others Anthony Sherwood, Kelvin Jack, Hartie (yes I rate him that much) Terry Fenwick … my optimism (minimal though it may be) sees potential options. I recently spoke with a friend whose daughter was part of that U15 girls team that got roasted in that Orlando tournament. The connotations were alarming and to be fair that level of amateurism can be easily improved. You guys can’t stand on the sidelines if you truly have the ability to impact the sport positively. DJW is such a virus it’s disheartening. So doesn’t the Technical Director must have a College or university degree, or top of the line Coaching License in order to have all the requirements that you just shared with us Prof Keith Look Loy? ..The key requirements/criteria to be sought in an effective technical director are: 1) knowledge of the game, 2) high level coaching experience, 3) proven ability to plan, implement and monitor technical development programmes, 4) effective communication and didactic skills.. I have a question, Isn’t the Technical Director supposed to be more qualified than the Coaches in our sweet country, so how come our present Technical Director isn’t more qualified than my Kendal Walkes,Coach Hart, Leo Beenhakker, Terry Fenwick, Stuart Charles Fevrier, David Nahkid, Prof Jamaal Shabazz, Prof Keith Look Loy and I can go on and on. I will really like to know what qualifications and the Coaching License that he have, so can you find out for us Mr. Live Wire. Them really good yes. Spoke to him a bit earlier this year. I didn’t realise he coached you. As you can read here, he thinks he was very badly treated by the TTFA and David John-Williams in particular. Was he the sports teacher from el do brown ? Well then i know him from my school days, he have slight american accent ? sport and functions on systemic processes and practices? contract with the Trinidad and Tobago Football Association in 2014.
puzzling issue of Walkes’s employment. and women of a certain calibre in Trinidad within recent times. Surely the TTFA spokesperson can come up with a better lie than this. opportunity, with no explanation forthcoming from the TTFA. Tobago and here in United States. this qualified, son of the soil. Trinidad and Tobago’s Football to its former glory. the Trinidad and Tobago Football Association. Moral of this story is- The position of Technical Director of Football in T&T is a poisoned chalice and should be avoided. If somebody is foolish enough to take it, make certain your employment contract is legally valid..
Lasana how this man going to court with a copy of a contract,? Not even the people who hire him supporting him. Knowing how they operated , who could say he earn it and not get it through friendship. He did say they met him and told him to apply. Albert Edwards how do you the sacking is unjustified have you heard both sides of the issue , I am almost sure u have not but yet you make a definitive statement. If by chance you have please enlightened us. Just to add to the humour. “Monitoring and control expenditure” well we controlling that. “Analytical skills” He didn’t analyse his situation too well before accepting. I wonder how many Coaches in our sweet country that is really qualified to be a real Technical Director ? Few I would think. Very few. The TTFA’s technical department is made up of whom? Because I thought the TD wasn’t part of the technical committee. That was always weird. The technical director should be a part of the technical committee. I suspect that will suddenly be set right. Lol. That would take a constitutional amendment that would require a vote or it’s simpler than that? It was unusual for DJW to leave him out. But I guess now we know why. For some reason I thought it was a constitutional oddity for the TD not to be on the technical committee. Didn’t realize it was a DJW thing. I retract my previous statement making the assumption it was the usual ‘friend’ code of hiring! “However, the TTFA signalled its intention to continue the business of local football today when it requested applications for the vacant position of technical director. Corneal resigned his post in April in frustration at the continual failure of the football body to meet its contractual obligations to him. 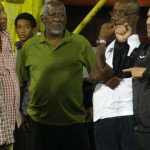 According to a press release, the main duties of Corneal’s successor include: leading and managing the TTFA’s technical department, supervising the preparation of national teams, developing a curriculum for coaches and designing a players’ development manual for national youth and women team programmes. (See below for more). 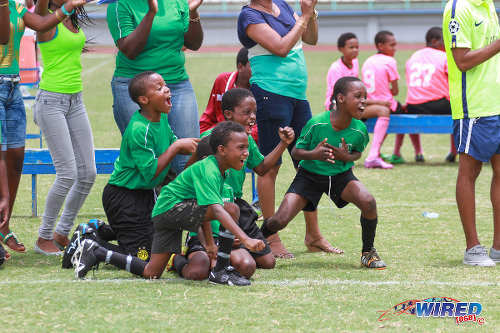 “The Technical Director will have a host of responsibilities and will spearhead all of our development programs with special emphasis on youth development,” said TTFA president Raymond Tim Kee. “We are committed towards meeting our goal of producing technically strong players from the youth level come up based on world’s best practice; and all our national teams operations from a technical standpoint is also a crucial area that will be focused on. Interested parties are asked to apply on or before 30 June 2014 by emailing their full CV to ttff1908@yahoo.com or via a letter to General Secretary, TTFA Hasely Crawford Stadium Port of Spain, Trinidad, which should have “PRIVATE & CONFIDENTIAL” marked on the envelope. There appears to be more in the mortar. Being vindictive is a response. What was the stimuli. Corneal had non pyt issues, he left. Without blinkers you took the job. Fortunately you got some pyt. On the surface it appears that you have not given the entire history of the relationship between yourself and the new TTFF president. No side can be taken without ALL the facts. 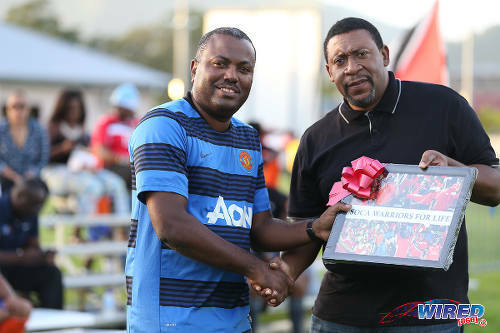 I doh know nah although to me it is a conflict of interest to be the President of the TTFA and also the owner of a professional team in the league I always observed his movements how he is very passionate about his club and the football eh, hence the reason why we honored him, his manager and coach a few years ago eh, for the accomplishments in the football and I am still is going to put my monies on him for taking our football to another level with respect to the countries that our national team will be playing against, so hopefully everything will be cleared up with respect to the monies owed by the TTFA and then we will move on in the right direction. Nicholas Lochan, you realise that Kendall Walkes’ salary hasn’t disappeared because he was sacked eh. If he wins his case, we will pay Walkes’ salary PLUS that of the new technical director and possibly costs too for BOTH legal teams. How is that a better situation than honouring the contract? I know. But there must be some technicality as a bankrupt organization that should be able to be applied. If his contract was 10 million or 10 years…what happens? FIFA’s developmental money is meant to pay technical director and fund his programme. And that is US$250,000 per year and supposedly set to rise to about US$1.25 million per year. So you cannot take FIFA developmental money, spend it on other things and then say you have none left to pay the TD who is in charge of your developmental programme. Have they declared bankruptcy yet? No. They never did. And they aren’t. We were promised that the days of “big bosses” are over. Walkes has said that David John-Williams often operates without bothering to inform the General Secretary who is supposed to be the CEO of the TTFA. DJW didn’t give a clear denial of this. If true, it is unconstitutional. And a horrible sign for the new administration. And the bestest person to head the commision eh, is no other than Mr. Live Wire Lasana and meh famliy Savitri Maharaj eh, they will always keep them in check. Them really good yes. 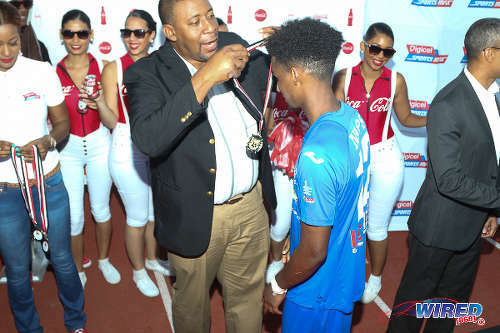 Dion Sosa what kind ah trick question is that eh, you know that the corrupted TTFA knows alyuh hearts and how alyuh love to do things for the football in our sweet country eh, even for a box of chicken and chips and a red solo eh, and yuh feel that all the present and past Coaches didn’t know that they wudda always have plenty problems with respect to being paid eh, and the matter always have to end up in the court eh. Them really good yes. He made the man leave his good paying job in the Virgin Islands eh, especially when he was being paid in US dollars eh, and he was warned about the corrupted TTFA and how they does operate you know, but nobody eh listening to me nah, they always want to find out the hard way eh, hence the reason I will remain a wired 868 member for life eh, and continue to expose the madness with respect to the football in our sweet country. Them really good yes.. Anyone can reach for the stars. I can offer a job to zidane tomorrow! Question is who accepts a job that seems to plagued with insecurities? Only the man who thinks he will be the one to benefit. Nicholas Lochan it was Sheldon Phillips who hooked him up with the job hence the reason why the position wasn’t advertised eh. Them really good yes. ..Last try. There are TWO issues here. One is technical. The other is legal. Whatever the financial situation, and we are all well aware of it, the bosses do not have the legal right to unilaterally abrogate a valid contract. Doing so is why the TTFA is in legal limbo with the former general secretary and now again with the (former?) TD..
Good so we on the same book even if different pages. You were blessed to be on the technical side of things at a high level. Did we get value from this TD to justify his stay? Don’t need to answer. Second issue will now be what are our options in replacing him which I believe is what they want. Pay him what he is owed and accept that we wasted funds or terminate withing the legal parameters, which I believe was not done. Thing is the TD speaks as if his love and football will brought him here but all I see is men that undervalued others into working for them for nothing stating things were hard now they in the boat and want to sue. Ironic! Narada, if we fire him unfairly, what happens is we end up paying THREE TD salaries. Walkes’, Corneal’s and presumably Isa’s. How is that a better situation? This TD position [signed for 3 years] was NOT advertised so we don’t know if he was the best value for $. Furthermore A.Corneal who held the post last is owed for 3 yrs salary? At some point financial sense is needed….regardless name, no name, black, white or brown. Actually that isn’t true Nicholas. The position was advertised and there was a screening process. I think Isa was among the persons who applied. ..Trini people doh know what they want..